In the May 2, 2016 newsletter: provocative questions, RE:Conference Early Bird, coming together at the Housing Alliance, IDA Tax Credit opens today. I had the opportunity this week, along with Jill Winsor and Amy Stuczynski of the NP team, to attend a symposium sponsored by our friends at the Community Action Partnership of Oregon, Multnomah County, and Oregon Housing and Community Services. The two-day event was organized around a series of “provocative questions.” Those of you who have known me for a while know I could never resist that invitation! I love provocative questions designed to spur creative thought and change. There were many compelling propositions and conversations. Several questions really stood out to me as relevant to the work we are doing at NP, and the work we see our network of partners grappling with. First – are we helping people or getting in their way? How do we know? Many speakers challenged us to re-think and re-examine our patterns of doing our work and to look for transformative impact with the people we serve. Are we really helping people get ahead, and move beyond basic survival? Are we imparting lasting skills, supporting people to make changes they choose to make, and not imposing unnecessary or contradictory rules and restrictions? How do we deepen our impact? Dr. Reginald Richardson, Deputy Director of Oregon Department of Human Services, spoke about how stress, especially the toxic stress that can come with deep poverty, can overload our brain’s executive functioning. Dr. Richardson suggests assessing executive functioning skills like planning and organizing, remembering details and managing relationships. He also suggests talking about these skills with consumers so they have the language and context to understand why they might be struggling, building on those skills consumers are strong in and using strategies to support those skills that are underdeveloped. 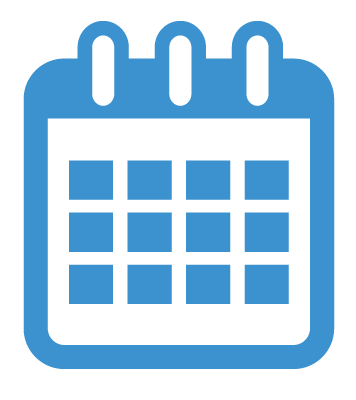 For example, we could give our customers a calendar with the date of our next appointment already marked. Second – where’s the line between empowering people and being overly paternalistic or rule-oriented? Our partners at the Multnomah Idea Lab asked – would we do better to just give people money? No strings attached, just money. Clearly, this would require a radical re-thinking of so much of how we do business. There are surely other less radical ways to reduce any overly paternal or arbitrary rules we set – I’ll certainly be looking hard at what we ask of partners. Third, what’s the best way to work in partnership in our communities? There were inspiring examples of leaders and organizations moving beyond immediate self-interest and steady funding streams to envision a better way of operating. One Community Action Program in Utah has radically changed their hours of operation so as to be open evenings and weekends – hours that much better serve the needs of their community. We were called on to be courageous. We were called on to be inclusive. We were called on to take risks. So how are we doing, at NP and as a community? I’m proud not only of our work, but of the work I see happening around us and in our communities. There’s more to do, though, as the numbers clearly show. Almost one in three Oregonians couldn’t survive at the poverty level for three months if income was interrupted. Half of us would have a hard time meeting an unexpected $400 expense. We have two events on the calendar this year, our Eugene-Springfield Asset Building Summit in June and our 2016 RE:Conference where we look forward to continuing to ask -- and challenging ourselves to answer -- these provocative questions, and the next ones that arise as well. Save money on your RE:Conference ticket with an Early Bird discount. Tuesday afternoon the RE:Conference kicks off with RE:Unite, a new-this-year event celebrating our work and potential, the ever-popular IDA Marketplace, and conversations with policy and elected leaders about moving our priorities forward. Wednesday, Nov. 16 the 2016 RE:Conference continues. Join us for stimulating conversations, engaging workshops, and networking with partners from all parts of the state. The housing and asset-building worlds will come together to share ideas, forge connections, and plan for 2017. Wednesday evening, stay (or come join us) for RE:Alizing our Potential – a resounding kickoff to the work to come in 2017. The wheels are turning for Housing Alliance workgroups. Last week, we had an in-depth work session about homeownership at the Oregon ON Spring Industry Support Conference. Providers came together to map resources, analyze key issue areas in homeownership, and discuss possible solutions like down payment assistance and financing. We also had our first workgroup meeting on tenant protections, where a wide range of organizations came together and identified barriers to housing stability such as no cause evictions, tenant screening, and rent increases. We learned from Housing Alliance members serving survivors of domestic violence about the particular housing challenges that their clients face, such as making use of rent assistance. 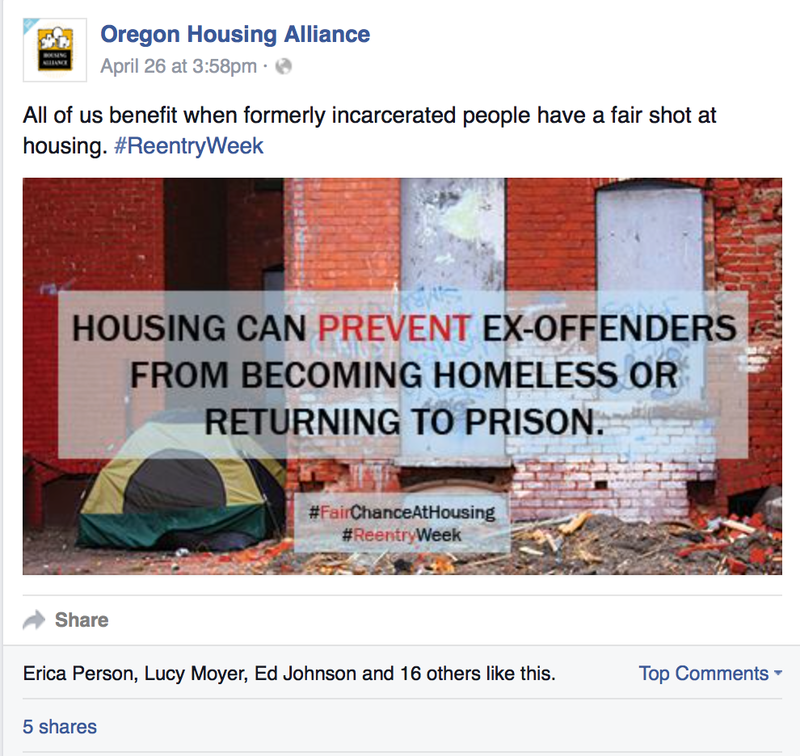 We'll be digging in deeper on potential policy solutions to meet the range of housing needs in Oregon. Thank you to all who attended. We have a lot more coming up! Housing Alliance members are encouraged to attend any of these meetings, and organizations interested in joining our efforts are welcome to attend as observers. Please contact Jenny Lee (jlee@neighborhoodpartnerships.org) for more information. Oregon IDA tax credit sales begin today, May 2. With your help, and with changes to how IDA Tax Credits are sold, this could be the biggest year for the Oregon Individual Development Account (IDA) Initiative. Your contribution will go to Oregonians across the state that are saving for a first home, starting a new business, beginning an education and more. You can contribute via check to qualify for a 70% state tax credit rate and online for a 67% rate. Stock and mutual fund contributions will begin via an auction process from May 9 - May 20.